The article “Room Temperature Polarization Phenomena in Nanocrystalline and Epitaxial Thin Films of Gd-Doped Ceria Studied by Kelvin Probe Force Microscopy” by Neuhaus et. al. is an open access article distributed under the terms of the Creative Commons Attribution 4.0 License. To view a copy of this license, visit http://creativecommons.org/ licenses/by/4.0/. NANOSENSORS PPP-NCSTAu probes were used for scanning probe characterizations for this publication. Cramer, T. et al. 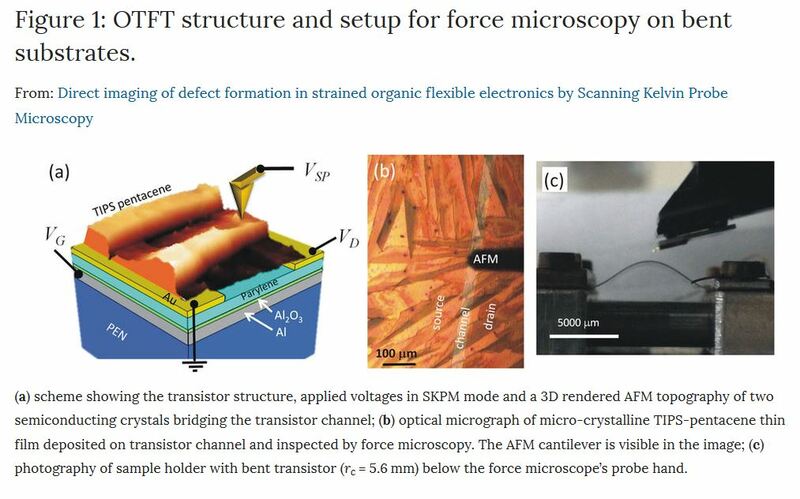 Direct imaging of Defect Formation in Strained Organic Flexible Electronics by Scanning Kelvin Probe Microscopy. Sci. Rep. 6, 38203; doi: 10.1038/srep38203 (2016). Our product screencast on the Platinum Silicide AFM Probes series from NANOSENSORS™ is now available in Japanese. NANOSENSORS™ Platinum Silicide AFM probes are designed for conductive AFM imaging where the combination of excellent conductivity, high wear resistance and a small tip radius is required. 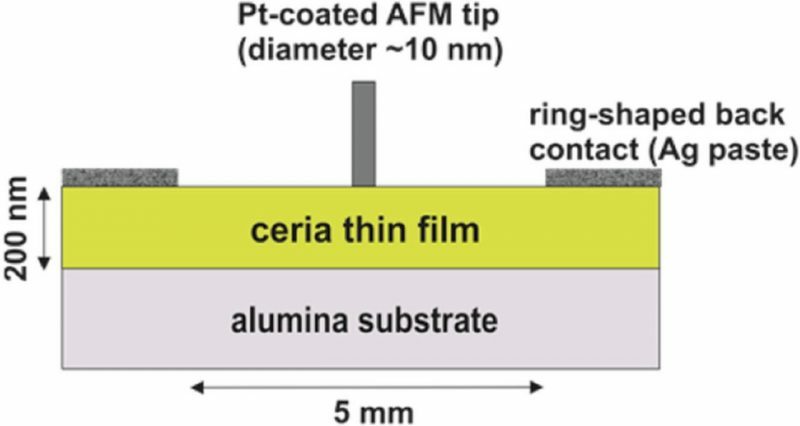 Platinum Silicide AFM tips are made of highly conductive platinum silicide which unites high conductivity (higher than conductive diamond coating and as good as metal coated tips) with a high wear resistance (much higher than metal coated probes and almost as good as diamond coated probes). Additionally the new PtSi probes have a slightly decreased tip radius compared to standard metal coated AFM probes. They can be used for any kind of electric or electrostatic AFM measurement, except SSRM. – Almost metal like conductivity.